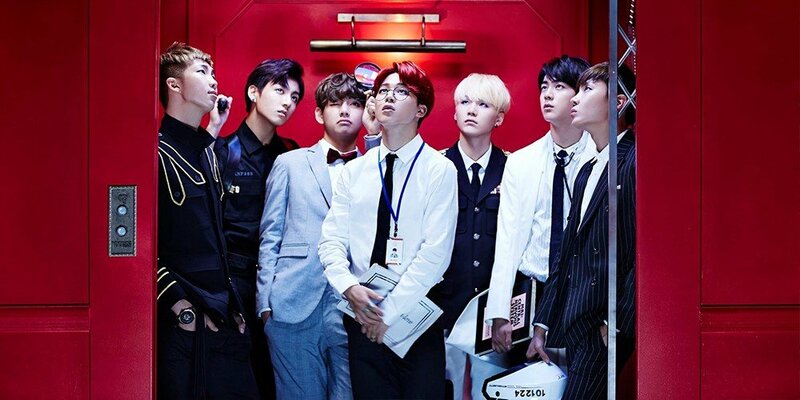 BTS' "Dope" now has 300 million views on '1theK'. 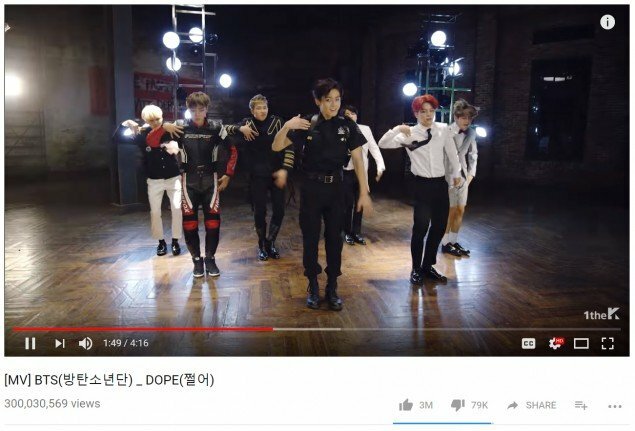 While adding the view from the Big Hit Entertainment�channel brings the views up to over 380,000,000 views, this makes "Dope" the 3rd BTS MV to have over 300 million on the 1theK channel after "DNA" and "Fire". They were the first group to have 2 MVs with over 300 million views, and now they're the first to also have 3.